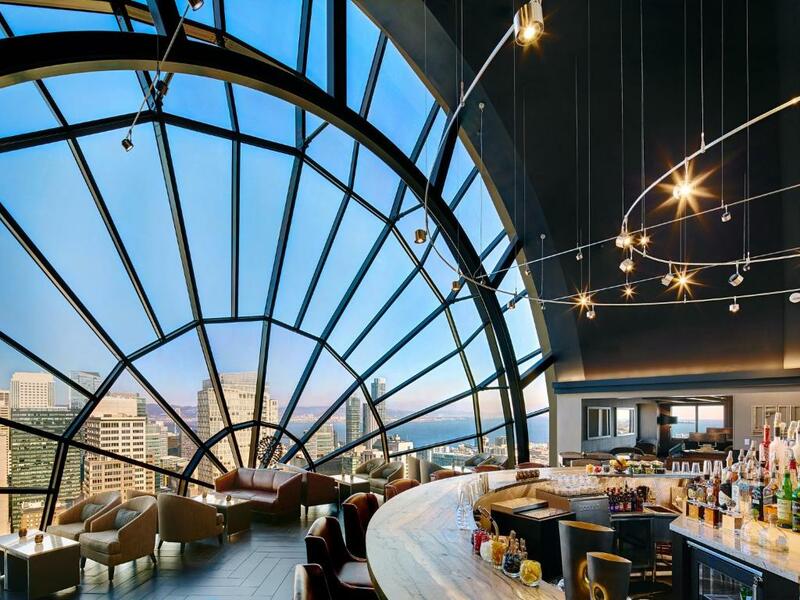 With a prime location next to the Westfield San Francisco Centre and Moscone Convention Center plus killer views from its 39th-floor restaurant the non-smoking Marriott San Francisco Marquis wins raves from our guests. The non-smoking Marriott soars above downtown offering 1500 rooms and suites on 39 floors. Rooms have flat-panel TVs high-speed internet access (for a fee) pillowtop mattresses and down duvets. An on-site spa offers a variety of beauty treatments and massage for weary road warriors. The hotel also has a a fitness room. You'll find several restaurants and lounges on-site including one on the 39th floor with spectacular views and there is a coffee bar in the lobby. Parking is available for a fee. The Marriott San Francisco Marquis is a block from BART (Bay Area Rapid Transit) and Muni Metro Powell Street Station. The hotel is adjacent to the Moscone Center two blocks from the San Francisco Museum of Modern Art and four blocks from the shops and restaurants of Union Square. It is 13 miles from San Francisco International Airport and 19 miles from Oakland International Airport. The Marriott San Francisco Marquis impresses our guests with its "friendly" staff "breathtaking views" from its sky-high bar and a "can't-be-beat" location that's "ideal when it comes to transit lines."